The identification of neoantigens has become a critical step in the development of neoantigen-based personalized cancer vaccines and other immunotherapy applications. Since neoantigens can be generated from tumor specific mutations in any expressed gene, the first step in identification of neoantigens typically involves deep exome and transcriptome sequencing on the tumor and exome sequencing of the matched normal. 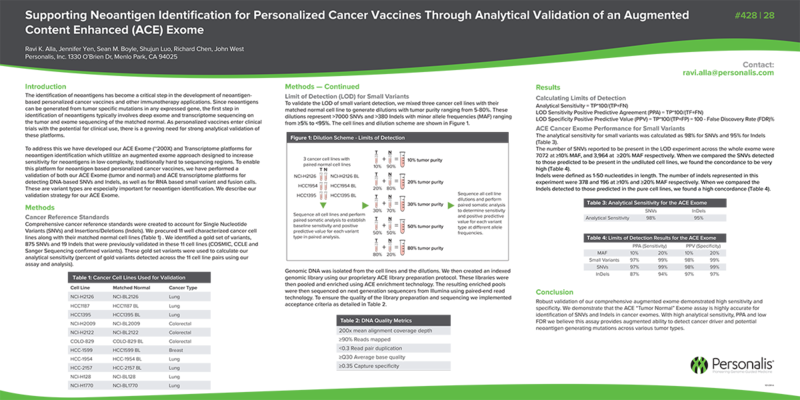 As personalized vaccines enter clinical trials with the potential for clinical use, there is a growing need for strong analytical validation of these platforms.